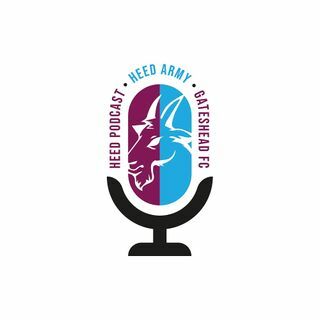 We are joined by former Chairman of Gateshead FC Graham Wood in the studio, also we speak to a Canadian Heed fan and former loan player Ben Fox. Darryl Clare!! I still pull on my lucky Darryl Clarence gloves when we need a goal. Worked once or twice :blush: He brought out the best in any young player round about him. How much would it cost to build a minimun standard ground though, Anth? 250k for land alone. Mentioned this below but. Graham do you think it would work if we merged with a smaller local club and got into the community, out of the stadium. In a Lower league and progress again? Always wondered what would happen if we merged with a local northern league club, get out of the stadium. Build a football stadium and get inside the community. Graham I know you spotted the likes of Nathan fisher. Do you think the club should be look at more northern based players instead of getting southern based players? Graham, with the progress the club has made since you took have over 10 years ago now. How can the club progress? Crowds have went from good then bad. How can the club survive in the future? Fans getting involved more? New stadium? Get more companies involved/sponsors? Good evening everyone. Hope sir graham wood is doing well!